Accident? With our seatbelt pretensioner repair & replacement service, you'll save money and time for any make or model. If your car has been in an accident, our seatbelt pretensioner repair & replacement service will refurbish your safety belt back to factory condition and save you hundreds or even thousands of dollars! Compatible with any car or seatbelt type, all you have to do is remove the pretensioner out of your vehicle and mail it in for repair! 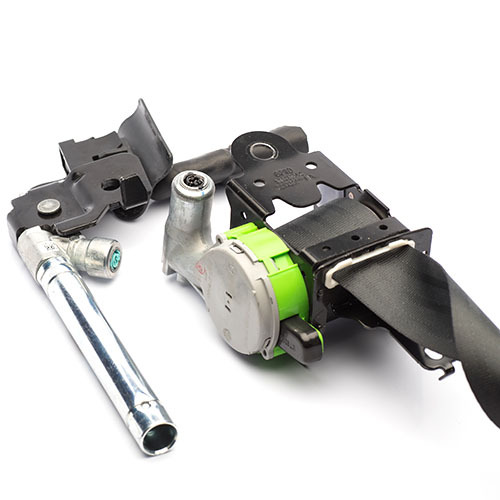 Our certified and experienced engineers and technicians will repair any seatbelt pretensioners in 24 hours using original replacement parts. All locked, stuck, jammed and deployed pretensioners can be repaired. Airbag light on? Our repair service will take care of that too. Ship from anywhere in the world to our location today and save. All seat belt repair services are completed on a mail-in basis. 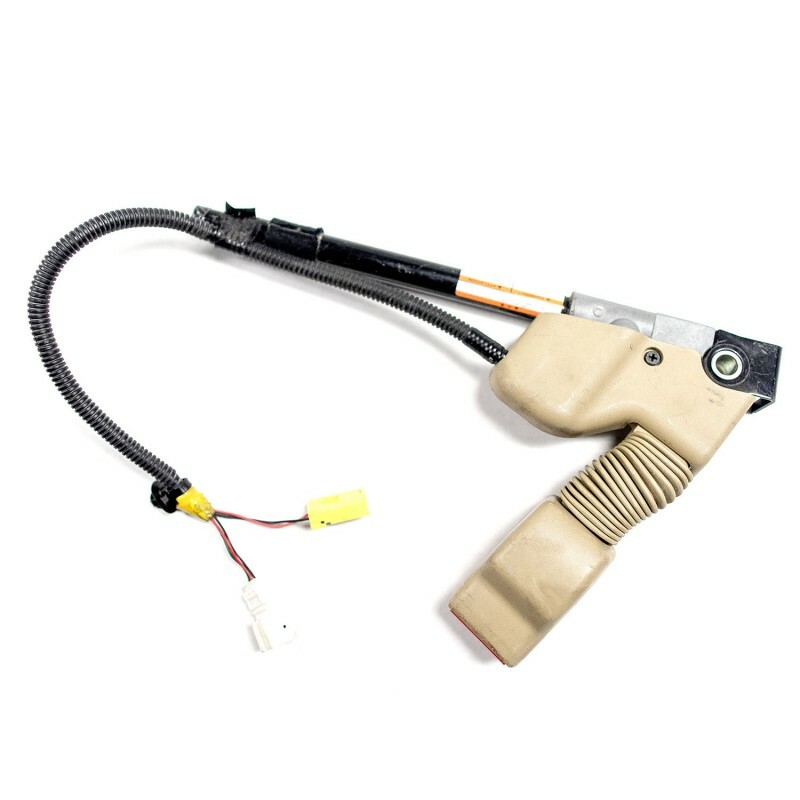 Some seat belt pretensioners are attached to the seat belt retractor assembly, while others are solely female seat belts that your latch goes into. The image above shows a seatbelt pretensioner that is attached to the seat belt retractor. If your seatbelt pretensioner looks similar and is not by itself, then you will need our dual-stage seat belt repair service. How Does a Seatbelt Pretensioners Works? 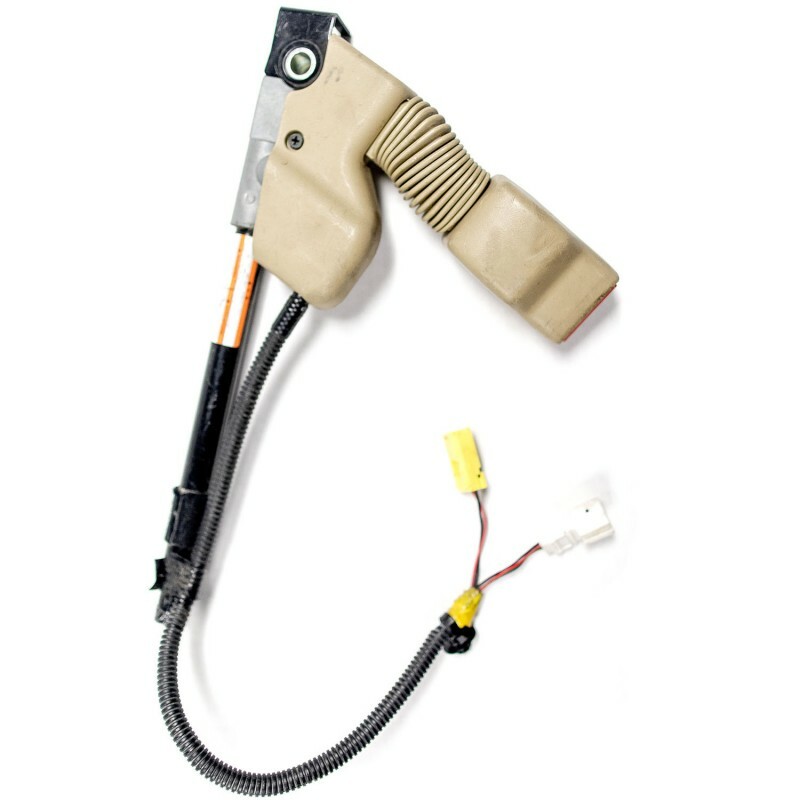 A seatbelt pretensioner has a gas charge igniter that is a form of explosive designed to go off during a crash. 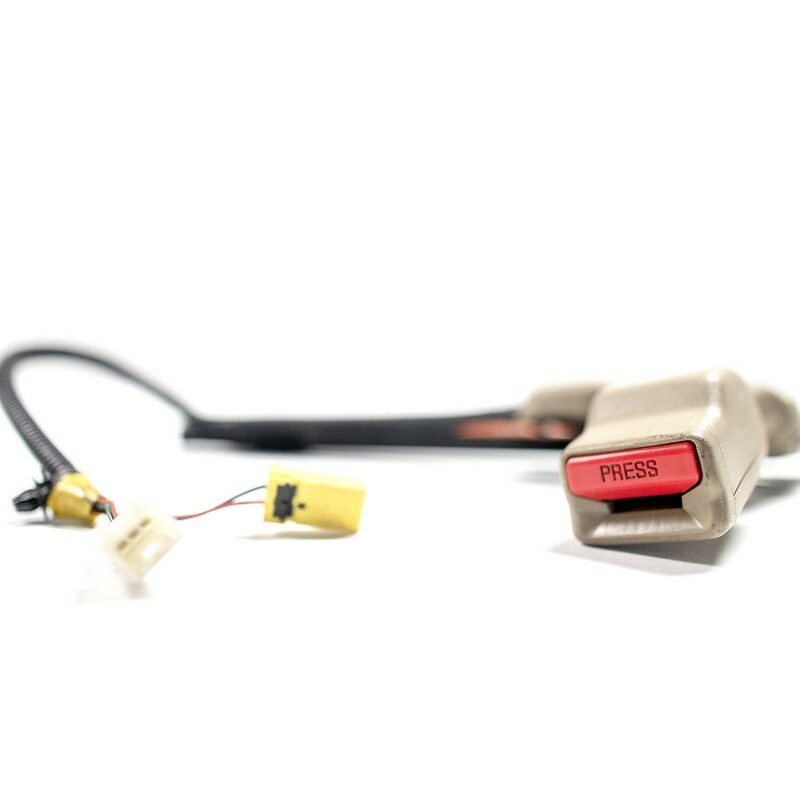 When the crash sensor or the impact sensor detects collision, it sends the signal to the SRS airbag computer that controls whether or not the airbags must deploy and which seat belts are used by an occupant. Once ignited, the seatbelt pretensioner will deploy and secure the driver or passanger wearing the seat belt. Once this occurs, the seatbelt pretensioner will compress and be in a "crunched up" position. We can repair such seatbelt pretensioners! Did your airbags deploy in addition to seat belts locking up or the pretensioner getting deployed? If so, your car has crash data or hard codes stored and you will need our SRS Airbag module Reset service. This service will remove and clear your crash data and hard codes after accident. You will need to remove your SRS airbag computer and mail it in to us for repair. Please keep in mind that a dealer cannot reset your airbag module. No airbag OBD scanner can reset hard codes or crash data either. Upon purchasing this service, you will need to ship your seat belt to us. Safety Restore is committed to your satisfaction and that is why we have our 100% money back guarantee! The #1 seat belt repair company in America with an A+ BBB rating.